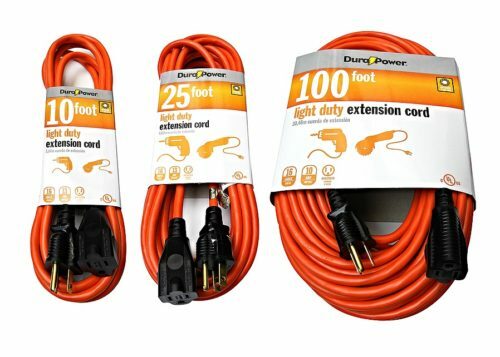 Extension cords rated for light to heavy duty usage. Indoor to outdoor ratings. Different colors and lengths can be selected. Built-in LED in the plugs and connectors as an added feature. Although similar to power cords, extension cords deserves a separate category. Due to its type of usage, they are more of a retail commodity. Like any other power cords, extension cords come in different colors and length. Plus, they have indoor and outdoor versions and built-in LED that lights up when plugged in.